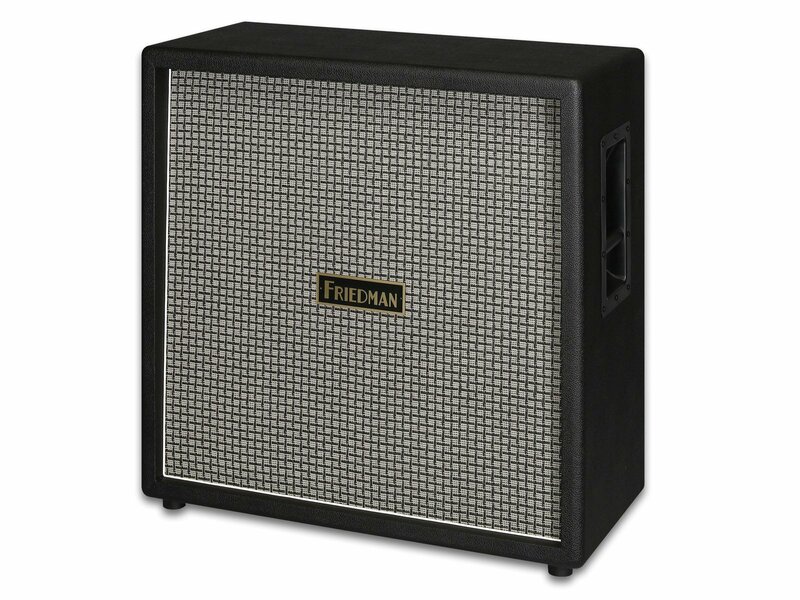 The Friedman 4×12 Cabinet is a 4×12”, closed-back speaker cabinet which utilizes tongue and groove Baltic birch construction to deliver the bass, mid response and great sound you would expect from a Friedman cab. At the heart of the cab are two 16 Ohm, Celestion G12M-25 Greenback speakers placed strategically in the top two speaker slots of the cabinet. The G12M Greenback has evolved over the decades but still retains its essential sought-after tone. 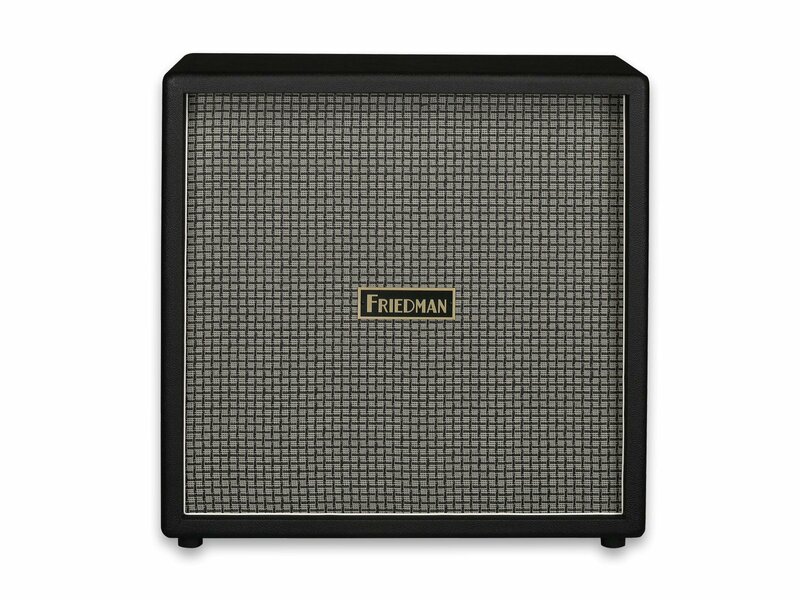 This model is voiced with additional broad mid-range attack and restrained top-end, giving a forward, punchy attitude to chords and a searing lead tone without fizz: ideal for Friedman’s high-powered rock heads. It’s an ideal speaker to bring drive and definition to modern high-gain amps. Loaded in the two bottom slots are two Celestion Vintage 30 speakers. The V3’s0 sound has been captured on thousands of recordings from a diverse range of notable players. It features enormously detailed and complex overtones, a warm low-end, a famously rich vocal mid-range and a beautifully detailed top-end. This cab delivers a wonderfully intricate Vintage 30 crunch, revealing the complexities found in hand-wired boutique amps.